Music Catch 2, by Isaac Shepard of Reflexive Entertainment, is a very-welcome sequel to the sublimely soothing reflex and collection game, Music Catch. The sequel is bigger and better, and focuses on expanding on elements that made the first title fun and unique. In the world of Music Catch, you use the mouse to control a glowing yellow circle. As the music begins to play, shapes of various size and color will burst forth from various angles and in different formations. 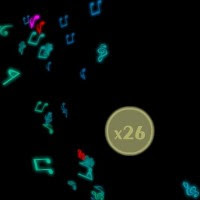 Your objective is to collect as many of the shapes as possible before the song ends. Music Catch 2 embellishes its proven gameplay by adding a few new songs, new shapes to collect, and by introducing new variations to shapes’ patterns and movement. Most of the colored shapes will simply be absorbed when you collide with them; however, there are a few special colors to look out for. Yellow shapes increase your size (and score multiplier), red shapes will decrease your size and multiplier (and should be avoided), special flashing shapes will temporarily cause an increase in yellow shapes, and purple shapes will temporarily turn you into a powerful shape-sucking vortex. The real star of Music Catch 2 is (rightfully) the music. Shepard has composed some truly beautiful (if a bit melancholy) piano instrumentals that, combined with the elegant graphics, create an ethereal quality that really enhances the experience. The pace of the gameplay always seems to fit whatever music is playing – an impressive feat. Even more striking is an unlockable mode that allows you play using your own MP3 files. This mode, while imperfect, certainly adds some extended playtime possibilities. All things considered, I can’t recommend this game highly enough. Put on those headphones – Music Catch 2 has a great musical journey in store for you.